You are here: Home / About Me / July’s Instagram Round-Up! I’m a pretty avid Instagram-er. So I thought I’d share some photo highlights from the past month of summer travels and fun with the Goyer clan. If you’re on Instagram too, let’s connect! 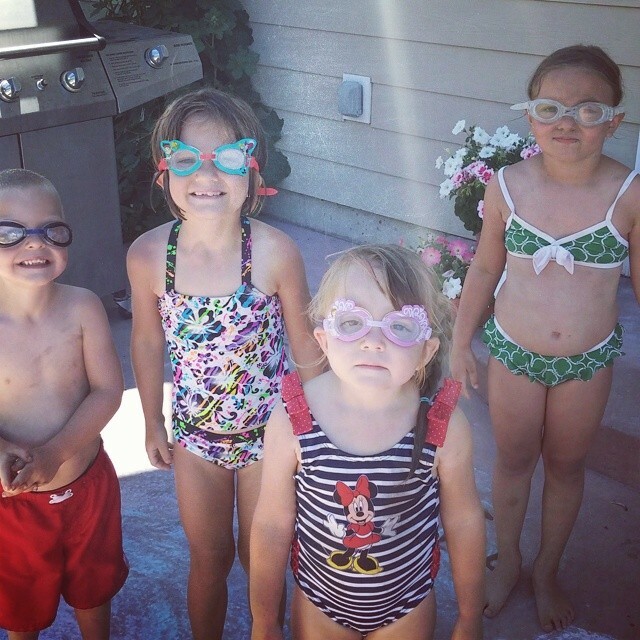 Summer Days Swimming with Goggle Friends! From Our Trip to The Living History Museum – Dress Up is So Much Fun! I Loved Catching Up With Joanna Weaver! From our visit to the Museum of the Rockies – Pumping Water! These sweeties went to a different school, but they heard about us and wanted to come meet us. Speaking of Instagram… Let’s play a game!